There was a famous televangelist, Robert Schuller, who’s TV show was entitled, “The Hour of Power”. He was more a proponent for positive thinking than he was of the Gospel. His hour of power was all about positive thinking. He even gave away the “Positive Thinker’s Bible” in which all the positive passages were in the color blue. I wondered if the 10 commandments and the cross were in blue. Jesus spoke quite a few times of the coming “hour” and the hour would be suffering and death, then on the third day rise from the dead. Rev. 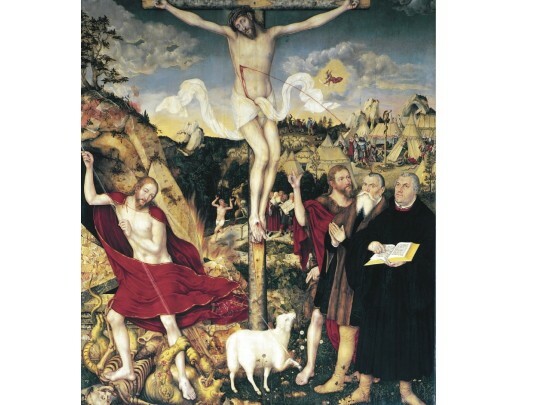 Schuller said that the passages about Jesus’ crucifixion just showed that He had positive thoughts by which He would get through this. It was not positive thoughts that led Jesus through it. It was the love of mankind and our redemption in His blood that Jesus leads us the way through. He came to do the Father’s will. There is more to life in this world than this life lived on our terms and that, even positive thinking, is the sin of Adam: thinking apart from the Lord. That fruit always looks good but it is cursed. And in the faith and life in Christ we can admit we have failures and weaknesses, as we did in the prayer above. The Lord knows, He cares and He bears us up. The second Adam, the man from heaven came to this hour to bear our sin and be our Savior. The hour was the Easter Triduum, Holy Triduum, Paschal Triduum, or The Three Days: the period of three days that begins with the liturgy on the evening of Maundy Thursday (Holy Thursday) and ends with evening prayer on Easter Sunday. All of our positive thoughts, as nice and good as they can be, won’t lead us through. Christ is the good Seed planted into the earth, His death and now risen to bear much fruit: faith in Him, love of Him, hope in Him. He leads us through as He is the pioneer and perfector of our faith (Hebrews 12: 1-2 ), not us!